Zecter Group Ltd has seen strong demand for its consultancy services throughout its first year of trading. Focused on providing consultancy services to law firms, the business has seen an increasing number of organisations seeking advice, support and additionally, exploring opportunities on a range of current and future market changes. Interestingly, demand has come from firms servicing a range of disciplines rather than one segment of the legal market. Mark Smith, CEO of Zecter commented, “As a result of the uncertainty in the legal market, Zecter has been advising and working with a range of law firms on the delivery of strategy, planning, organisational structure, cost savings and efficiency gains, change management, technology, M&A and other financial matters. 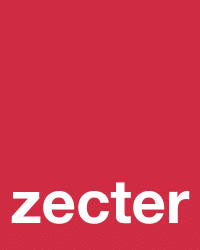 The growth in the number of firms seeking professional advice and support in relation to the delivery of change has led to Zecter increasing its team of consultants by 50% in 2015. The business estimates that the growth in new hires will continue in 2016 and is already planning a number of vertical acquisitions to strengthen the offering to clients following strong demand. If you would like to talk to the team at Zecter to explore your options, please call 0333 207 6551 to book an appointment.